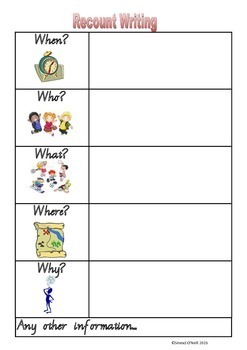 What, who, when, where, why grid to be filled in before recount writing to guide students for planning. Can be printed and laminated to use each time a recount is done. Picture cues for each word.